BD decided he wanted to make nachos this Sunday and I didn’t argue. Besides, nachos call for guacamole! I hated guacamole until my freshman year of college. It was then that a group of us got together every Wednesday at a local Mexican restaurant for margaritas and good times. Nowadays it’s rare if I eat Mexican food without it. 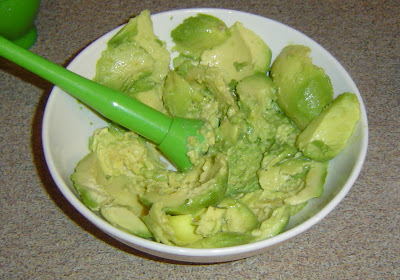 * When choosing avocados, be sure to pick ones that give slightly when you press them. 1. 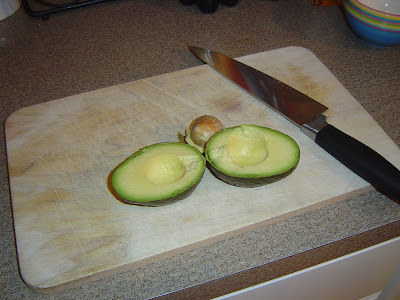 Take each avocado and cut down the middle lengthwise and remove the pit. Scoop the flesh out into a shallow bowl. 2. Add lime juice and smash together until smooth. I use a plastic muddler that has small spikes on the end. A fork would work well too. 3. Once your avocado is smooth, add your tomatoes, garlic, cilantro*, and red onion. Mash again to incorporate. *Add between 2-3tbls of cilantro, depending on how much you like it. 4. Next add a good amount of salt and pepper. Stir again and set in the fridge for about 10-15 minutes. I’ve found that allowing the guacamole some time to “rest” is best before you eat it. My thoughts: This is super easy to make. The flavor is fresh, vibrant, and has just enough of a kick. BD’s nachos were pretty good too. 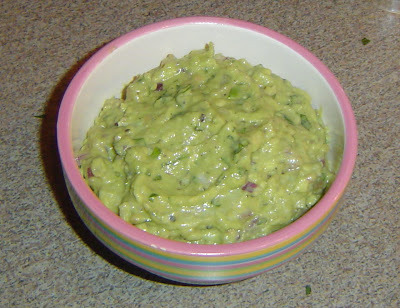 TIP: Guacamole doesn’t last long because avocados are like apples and they oxidize and turn brown. 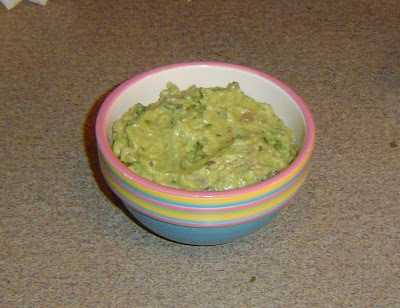 The last time I made guacamole; I did a little experiment and froze the remainder. I figured I had nothing to lose, and it ended up working out really well. 1. 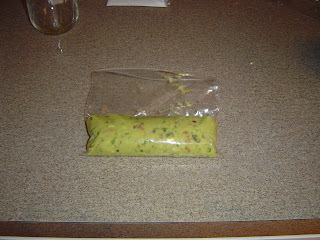 Take remaining guacamole and place in a small freezer bag. 2. 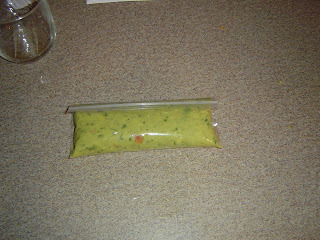 Press guacamole to bottom of the bag and lay on a flat surface. 3. Starting from the guacamole, press all the air out of the bag. Then seal bag and place in freezer. 4. To thaw: place guacamole in cold water. Loving the hint on how to freeze the guac. But who freezes guacamole? There is never any left over. A Dish of Favorite Veggies...AND Bacon!